LUDLOW, GABRIEL GEORGE, politician, office holder, judge, and colonial administrator; b. 16 April 1736 in Queens County, Long Island, N.Y., son of Gabriel Ludlow and Frances Duncan; m. 3 Sept. 1760 Ann Ver Planck; d. 12 Feb. 1808 in Saint John, N.B. Gabriel George Ludlow was a member of a long-established and wealthy New York family. While his brother George Duncan took up the study of law, Gabriel, like his father and grandfather, turned to the world of business and property. By the end of the Seven Years’ War in 1763 both brothers were moving up in the New York aristocracy. Gabriel owned an estate of more than 100 acres near Hempstead, Long Island, which he subsequently enlarged and improved; in the 1780s he estimated its value at £2,000 sterling. Although he did not attain the prestigious official position held by his brother, his prominence was marked by an appointment as justice of the peace. As the turbulence mounted in the period before the revolution, the Ludlows stood firmly and conspicuously on the side of the king. Gabriel spent the war years as a fighting loyalist. In 1775 he was commander of the Queens County militia, and the following year he raised and was commissioned colonel of the third battalion of De Lancey’s Brigade. His Long Island home became a favourite retreat for “British officers and Loyalist gentlemen.” As a result of their support for the crown both Ludlows were named in an act of attainder by the state of New York in 1779 and had their property declared confiscated. At the end of the revolution Gabriel followed his brother to England, where they joined other loyalists in seeking preferment and compensation for their losses. Throughout 1783 and 1784 the group mounted a strong lobby, the major result of which was the creation of a new colony, New Brunswick, on the north shore of the Bay of Fundy to accommodate loyal refugees and their families. Already in Parrtown, the future Saint John, Edward Winslow had taken “three town lots on the West side of the river, in the most delightful situations I ever saw, for myself, Major [John Coffin*] and Col. Ludlow.” If the colonel suffered, declared Winslow, “there is no Providence.” Ludlow in fact got three lots, not one, in what had been the garden of the old French fort at the mouth of the Saint John River. Other advantages went to the élite among the loyalists. Like his brother, who became chief justice, Gabriel was appointed in 1784 to the first council of the new colony. As a military man, he was named first in order of seniority, and thus acquired a rank second only to that of the governor. In September 1784 the Ludlows embarked for New Brunswick in company with Governor Thomas Carleton. Gabriel’s wife, Ann, had remained in her Long Island home, even though “obliged to pay rent to the Committee of Forfeitures.” That fall she took ship for Saint John with her family and belongings, only to lose practically everything but lives in a cruel Bay of Fundy wreck. Still, her prospects were far superior to those of the majority of loyalists struggling in the wilderness. In 1785 her husband was appointed mayor of Saint John, and two years later he became judge of the Vice-Admiralty Court, a post he would hold until 1803; he had his half pay as well and established a mercantile business. In all, he commanded the means to construct in Ludlow House one of the landmarks of Carleton, as west Saint John was called. There, in 1794, the family was able to entertain Prince Edward Augustus, commander of the forces in Nova Scotia and New Brunswick. Briefly the capital of New Brunswick, until Governor Carleton moved the administration to Fredericton, Saint John was the first city in British North America to be incorporated. Its municipal institutions, modelled on those of pre-revolutionary New York, were subject to several non-democratic restrictions, including appointment by governor and Council of the mayor, sheriff, clerk, and recorder. As mayor, Ludlow was the city’s senior administrative official, and he carried out his duties conscientiously, missing only a handful of Common Council meetings during the decade he held the position. The early years were particularly busy, because Saint John had come into existence virtually overnight and a host of regulations was required to maintain order and to organize its economic and social life. Ludlow was also the city’s leading judicial officer. By the charter of incorporation the mayor, recorder, and aldermen became justices of the peace for the city and county of Saint John; Ludlow presided as well over the Inferior Court of Common Pleas, or Mayor’s Court. In 1790, when the office of common clerk became available, the mayor pressed for the appointment of his son Gabriel Ver Planck Ludlow. Carleton deliberately passed over him in favour of a whiggish English lawyer who had had a brief New York career, Elias Hardy*. Though Hardy was both deserving and talented, the Ludlows were furious. Such incidents did not improve their strained relations with the governor, who disliked them both. It was apparently Hardy who caused Ludlow’s retirement as mayor. In 1794 he accused Ludlow of negligence in prosecuting the city’s case against William Hazen in a fisheries dispute; as a result, Ludlow stopped attending meetings of the Common Council in mid year. 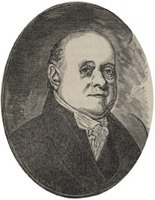 Although a subsequent inquiry by a committee of council into Hardy’s performance as clerk concluded, among other things, that his accusations against Ludlow were groundless and that he was himself responsible for the failure of the city’s lawsuit, a new mayor, William Campbell*, was appointed in 1795. 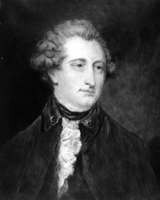 The threat of war with the United States in 1807 inspired Lord Castlereagh, the secretary of state for War and the Colonies, to look to the defence of New Brunswick. In January 1808 Ludlow, as commander-in-chief, called out the colonial militia. Regarding military action as unlikely, he planned to disband them in March to save the provincial treasury. He did not get the opportunity. On Friday morning, 12 Feb. 1808, he died unexpectedly at his Saint John residence, to be succeeded as administrator by Edward Winslow. He lent his wife, two sons, and two daughters; his brother survived him by only nine months. N.B. Museum, Hazen family papers. PANB, “New Brunswick political biography,” comp. J. C. and H. B. Graves (11v., typescript). PRO, AO 12/25: 274; 12/90; 12/100: 134; 12/109; AO 13, bundles 19, 65. UNBL, MG H2. Canada’s first city: Saint John; the charter of 1785 and Common Council proceedings under Mayor G. G. Ludlow, 1785–1795 (Saint John, N.B., 1962). “United Empire Loyalists: enquiry into losses and services,” AO Report, 1904: 267–70. Winslow papers (Raymond). DAB. Sabine, Biog. sketches of loyalists. Hannay, Hist. of N.B., vol.1. J. W. Lawrence, Foot-prints; or, incidents in early history of New Brunswick, 1783–1883 (Saint John, 1883). J. S. MacKinnon, “The development of local government in the city of Saint John, 1788–1795” (ma thesis, Univ. of N.B., Fredericton, 1968). MacNutt, New Brunswick. W. O. Raymond, The London lawyer; a biographical sketch of Elias Hardy, counsellor-at-law at Saint John, N.B., A.D. 1784–1798, with some account of the incidents in which he figured (n. p., 1894); “New Brunswick: general history, 1758–1867,” Canada and its prov. (Shortt and Doughty), 13: 125–210; River St. John (1910). Wright, Loyalists of N.B. W. O. Raymond, “Elias Hardy, councillor-at-law,” N.B. Hist. Soc., Coll., 4 (1919–28), no.10: 57–66. C. M. Wallace, “LUDLOW, GABRIEL GEORGE,” in Dictionary of Canadian Biography, vol. 5, University of Toronto/Université Laval, 2003–, accessed April 26, 2019, http://www.biographi.ca/en/bio/ludlow_gabriel_george_5E.html.